I had the privilege of playing with Cardinal Calypso for five years at Stanford. 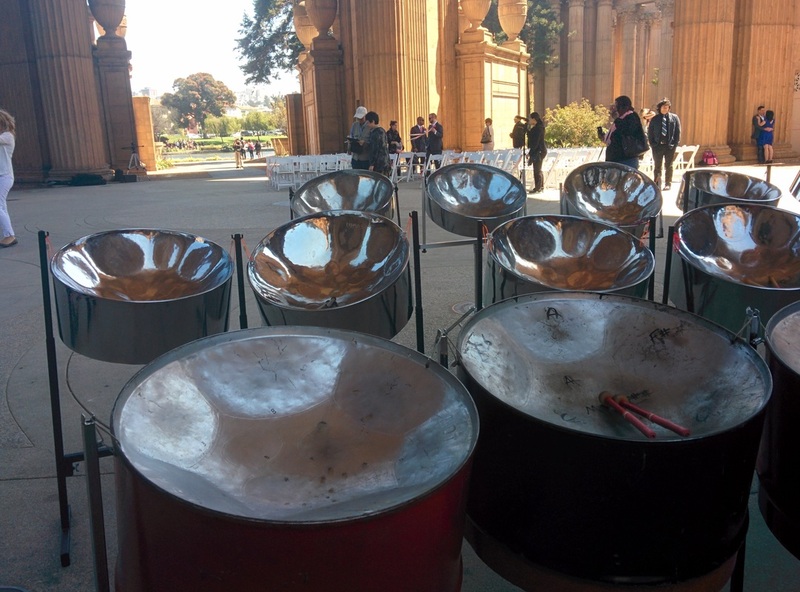 Cardinal Calypso auditions Stanford students who are interested in learning about the music and culture of Trinidad and Tobago and about the steelpan, the instrument that was invented there in the middle of the twentieth century. Most students who join Calypso have never played pan before, and I was no exception. During my time in Calypso, I arranged a portion of the band's music and composed some original pieces for both full band and small group. I got the chance to learn how to play a family of fascinating and expressive instruments. Above all, I got to befriend some of the most talented musicians -- and most incredible people -- I have ever met. A duet for two tenor (lead) pans with brake drum accompaniment. The two pans trade melodies and backgrounds while building to a polyrhythmic finale. A full-band piece written in a Panorama-esque style. It was performed by Calypso at their spring show, "Blue Pan Group." I unfortunately was never able to get a nicer recording of it. A duet for tenor (lead) and double seconds that start in a minor key and eventually transitions to the parallel major. The two performers play on each other's pans. The piece was performed at Calypso's spring show, "Discalypso." Performed at Stanford Admit Weekend 2014. Performed at Cardinal Calypso Spring Show 2013, "CalypSesame Street." Performed at Cardinal Calypso Spring Show 2011, "Discalypso."